Incase you didn’t know Lush is basically heaven in a bathtub. I love Lush, from their soap to their company ethos they are a beauty brand I can really get behind. 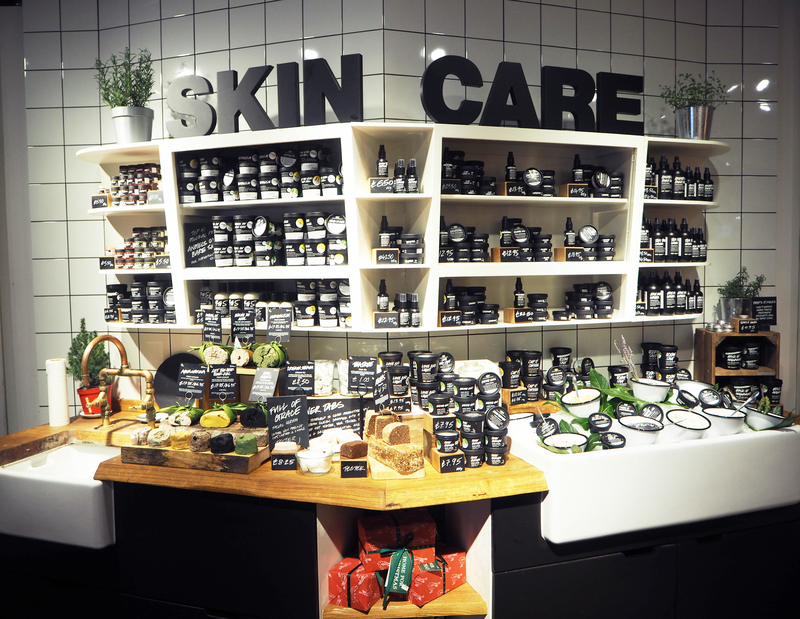 I have never gone into a Lush store and felt judged, or looked down on for asking questions, the staff are friendly, knowledgeable and it’s a cruelty free safe haven as no products are tested on animals. They also list all ingredients on the side so you can easily tell which is vegan! Not to mention the whole place smells divine. 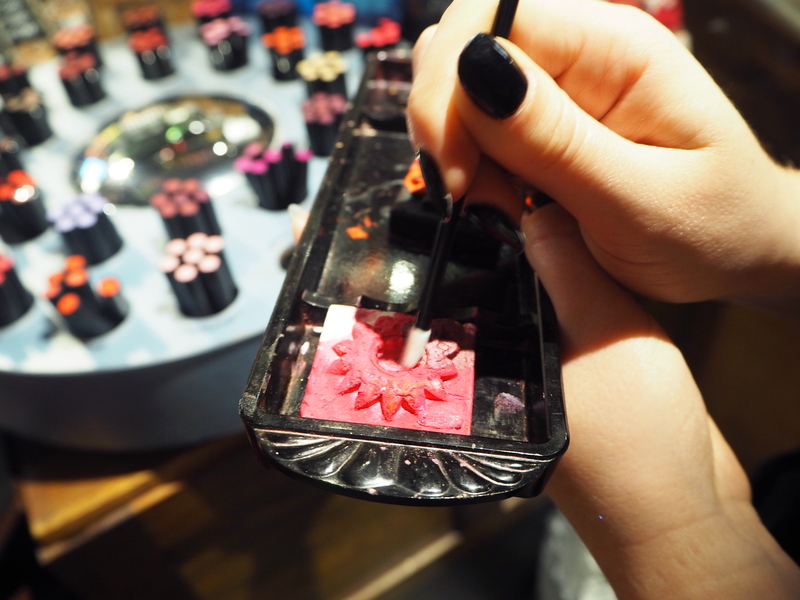 Lush Oxford Street takes skincare shopping to the next level, with a massive kids section where they can make art from the fun bars (we totally had a go too but our creations were not a match for the kids! 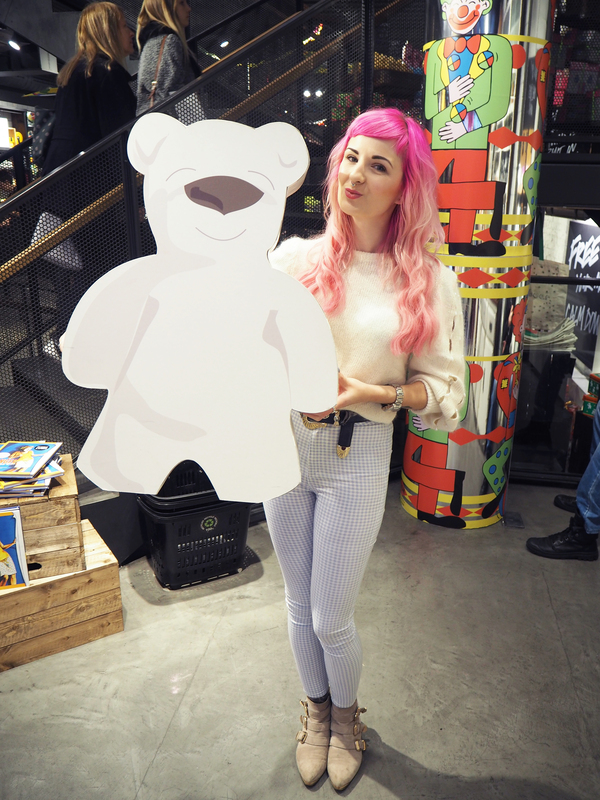 ), there is also a giant selfie wall, a huge bear and a carousel of gift sets and a spa…who ever said shopping was boring? 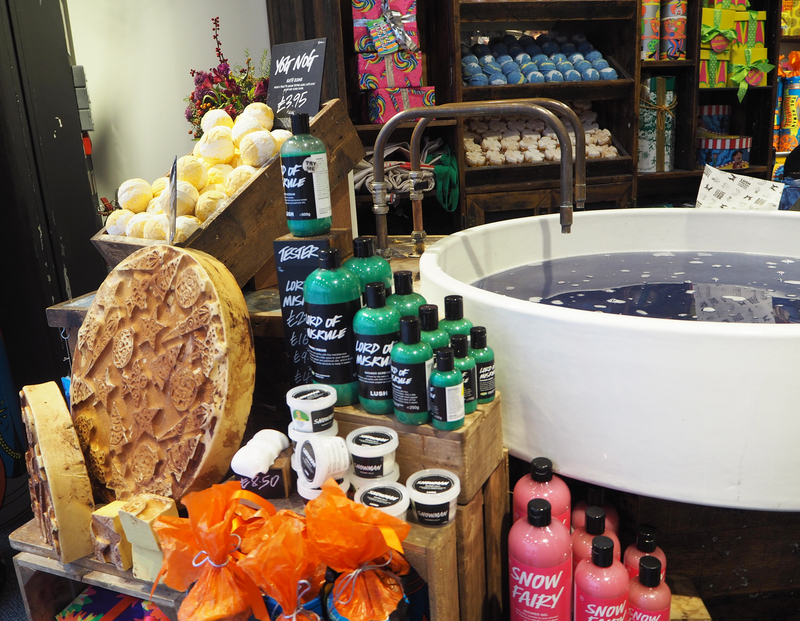 On top of all the amazing bath goodies only available in the Lush Oxford store they also have a huge selection of make up. I was in heaven! 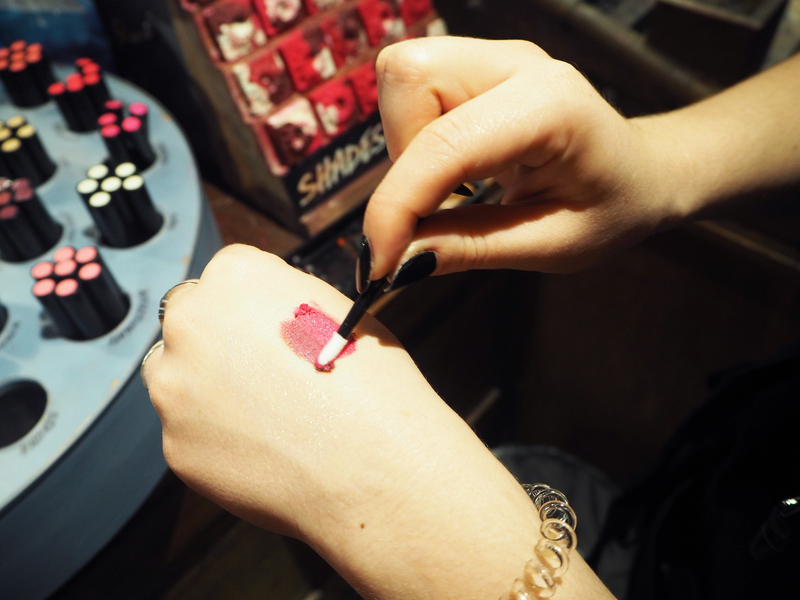 The lipsticks are all long wearing and if you follow me on IG you’ll know how much I wear the Passionate colour (all the time), the new lip palette is amazing, it’s three different shades in one block that you can mix together to create custom lipsticks, how cool is that? You can also just wear them on their own if your not into playing mixologist. 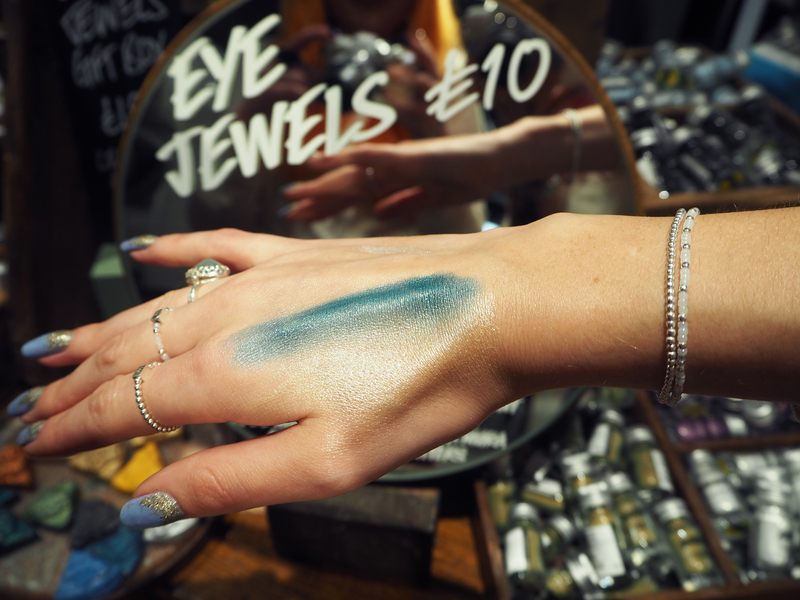 Their eyeshadow powders are super cool, if you add water they change colour! They also have a little station where you can try some stuff out before you buy. The Spa is in the basement but it is not alone, they also have all their perfume down there and a little chill out area.  The spa is the same (if not a little bigger) than all other Lush Spa’s. It looks like a farmhouse kitchen, instantly welcoming and calming. 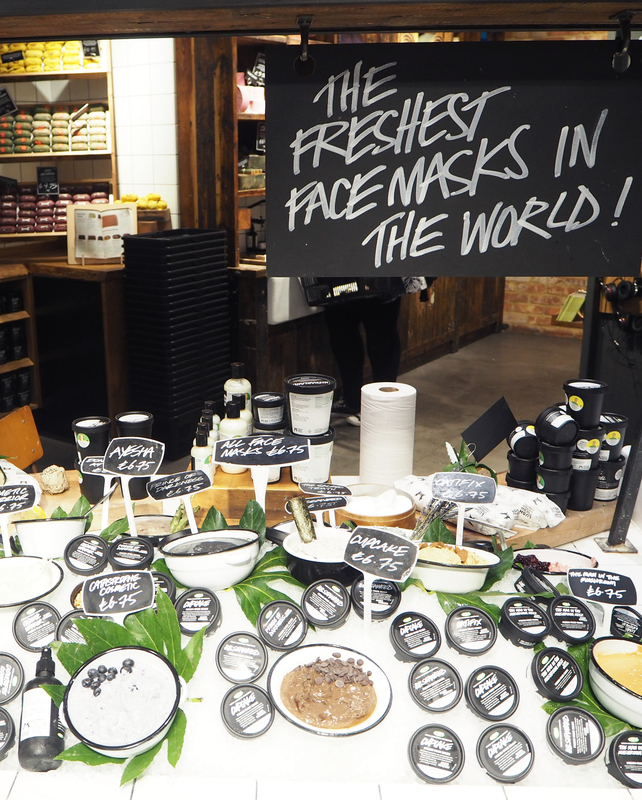 You can read all about my experience in the Lush spa & what treatment I went for here. 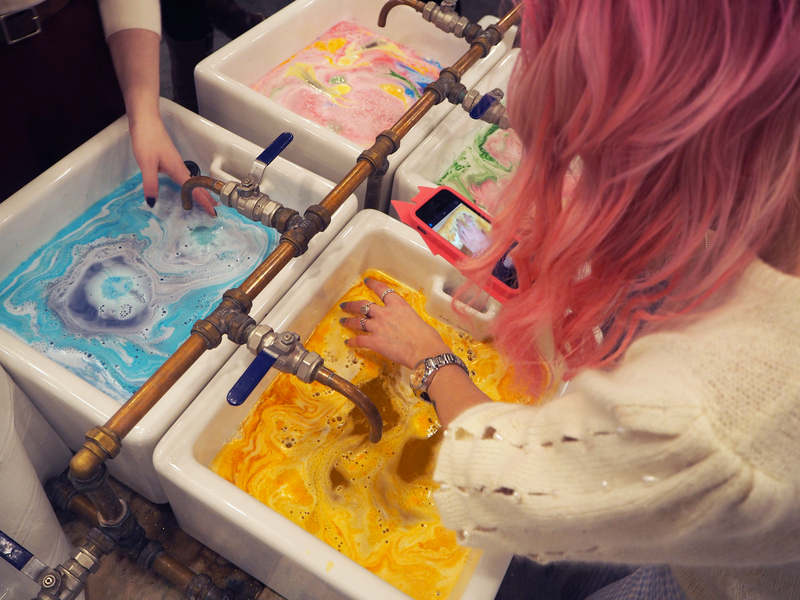 Three floors of Lush Goodness? Well worth a visit next time you are in London town but be prepared to lose an hour or two! 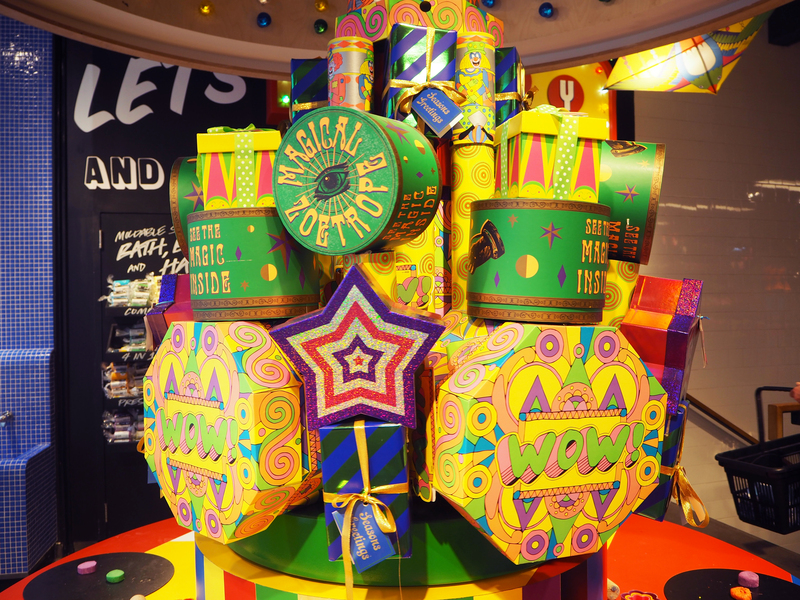 I’d love to visit the Oxford Street store! 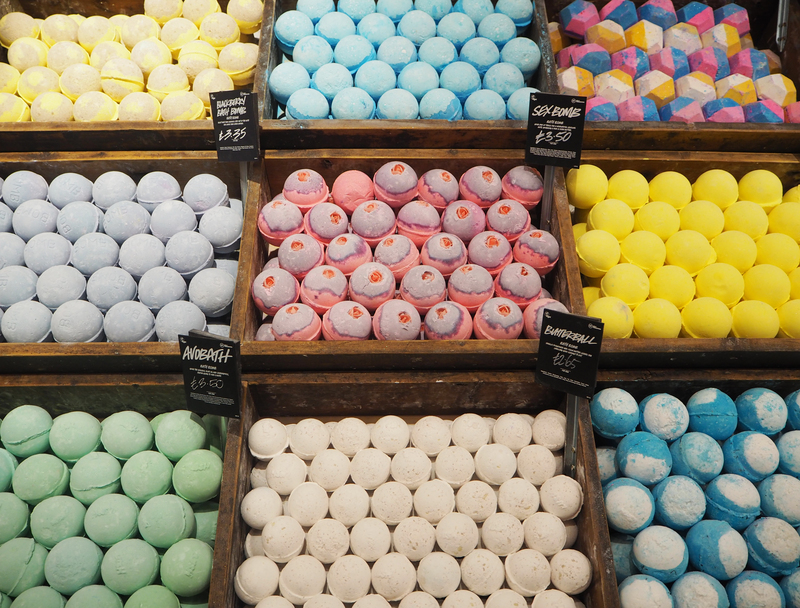 It definitely is the place to be for Lush. This looks amazing!!!!! I’ve never really wanted to visit London, but I think this definitely peaks my interest. 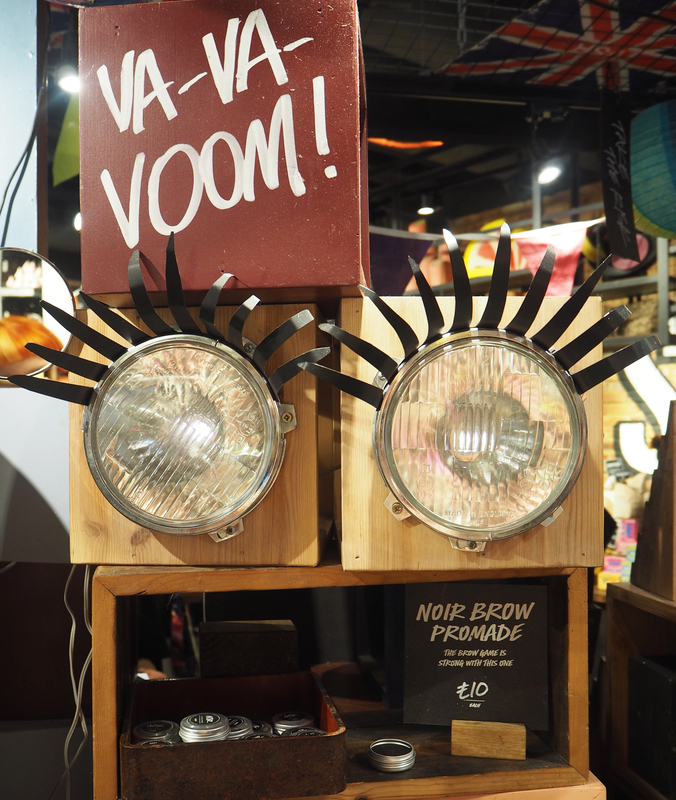 So many more things that you would find in the Lush stores here!